Happy April all! I don't know what it is about this time of year, but it puts me into Spring cleaning mode. I have the need to clean everything lately. I want to organize, clean and redecorate. The cleaning bug has bitten me and is going strong. I have been focusing on the kitchen as of late. 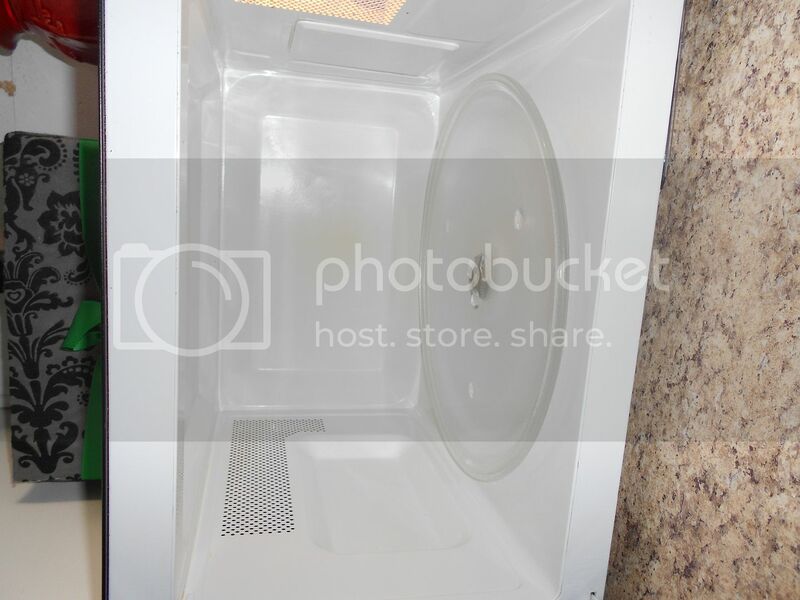 I kicked off my kitchen cleaning with the microwave. I forgot to take a before. It wasn't horrible. I usually clean it out every other week, but this time I cleaned under and all around. I tried to make sure it was super clean. 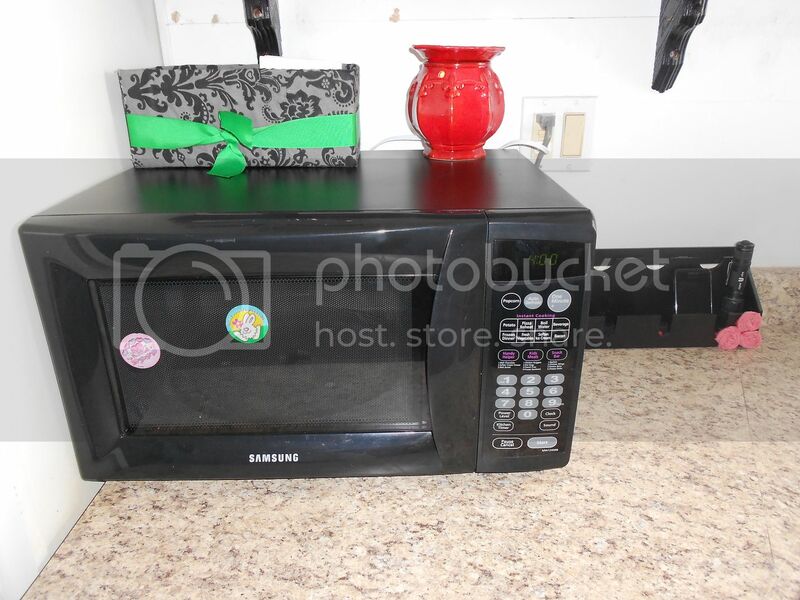 Want to know my secret to easy cleaning, where the microwave is concerned? Oven cleaner. Spray it into the microwave and let it sit for a few minutes. All the grim will just wipe off. It was so simple. I had to share. Now my microwave is white and clean. How are you guys kicking off your spring cleaning? Spring Cleaning??? I thought it was a daily thing--we have 4 kids. Yikes! I am feeling guilty seeing these Spring Cleaning posts...honestly, that bug has not bit me yet but when it DOES (or the microwave gets to gross to bear) I will try this great tip that you shared with us. I saw your post over at Ta-Da Tuesday. Here's an easy, non-chemical way to clean the microwave: Fill a mug with water and then put in about 2 or 3 tablespoons of lemon juice. Microwave for about 5 minutes. Then just wipe off. It'll look brand-new. For the stove top, you can make a paste of salt and water, apply it liberally, leave it for about 5 minutes, and again, just wipe off - it gets rid of everything. 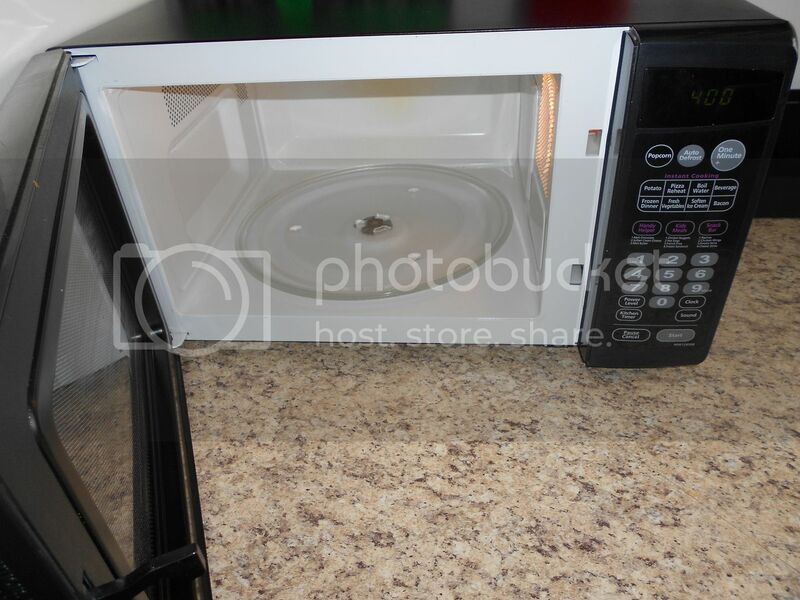 I always microwave a bowl full of water add 2 tbs of vinegar let them steam take care of the yuck! it wipes clean! this is awesome. I never would have thought of using that! I put a tablespoon or two of baking soda mixed with a cup of water in there for about 30 seconds. It loosens everything up and you just wipe it out. 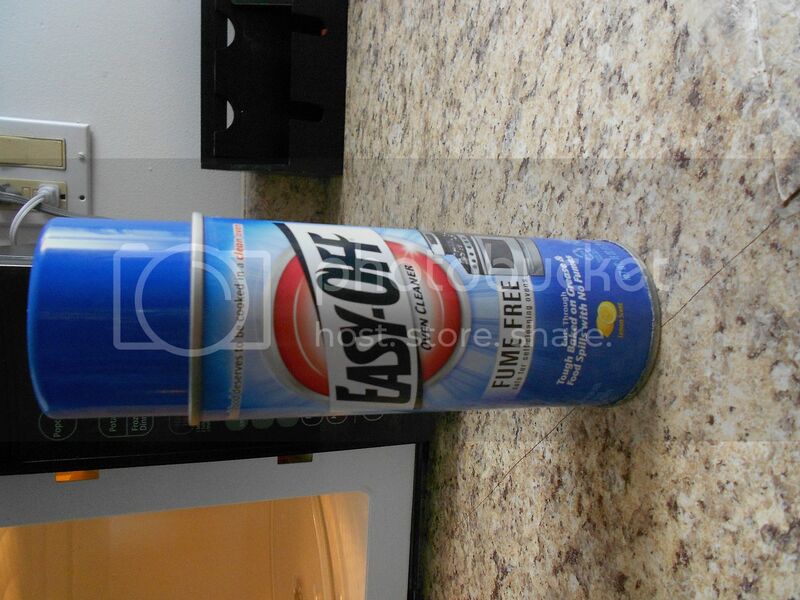 Also, the baking soda helps neutralize any odors. I learned this on that show with the British cleaning ladies....I can't remember the name right now.